The MUSIC.WAS.INCREDIBLE! The festival saw an epic lineup of local and international artists throughout the weekend who performed across 5 different stages! Two stages, namely the Acoustic and Treehouse saw many performances, some to mention are The Kickstands, Freddy L, Shannon Connolly, Roachy and the Rock Coaches. Never having heard Hayden Hack before, he lured us in from the Food Court with his folk/acoustic vibes and soulful voice! 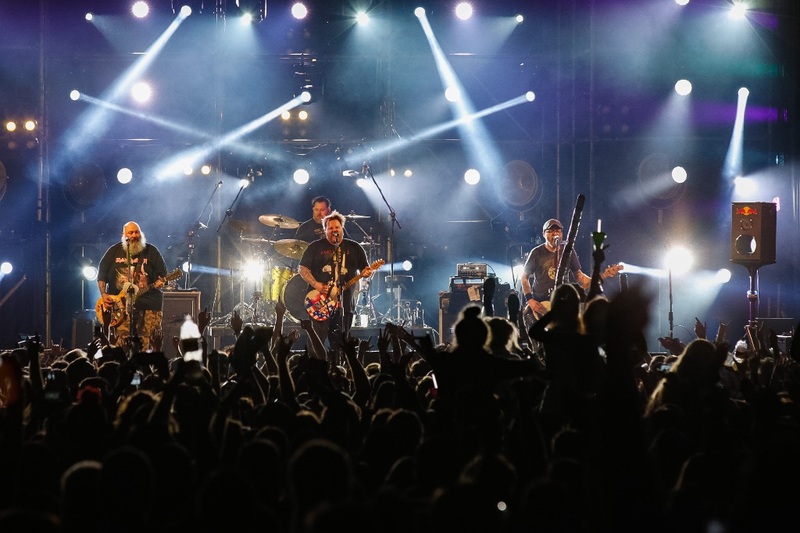 The Electric Boma saw Chunda Munki perform, the River Stage – Josh Wantie (who we have had the pleasure of interviewing before) and The Gus Brown band, who sadly announced that this was their last performance for a while. The Budweiser Main Stage saw one of our surprise favourites, but probably not so surprising for fans… Hot Water! Do yourselves a favour and go check out their infectious music with a South African flavour like no other! It did help solidify new fandom with Durbanite contributor Theresa, (Tee) when lead singer Donovan casually stood next to her under the tent filled with 6,000-odd people. He asked Tee, “What kind of show are you hoping for?” Not realising who he was and taken aback by the question, she simply answered “…a very good one!”. The ‘stranger’ made a swift exit (to the main stage) strapped on a guitar and together with the band blew the crowd away with their high-energy performance! Editor’s note: To Donovan, Tee would like to say that the performance surpassed her expectations of “very good” – it was incredible! Rubber Duc, Matthew Mole, Veranda Panda and Good Luck were on fire! International drum and percussion band Napalma wowed the crowds with their catchy beats and vivacious crowd presence. Mango Groove, did what they always do and had the crowds singing along to old favourites! And of course, our own local viking, Ard Matthews performed and is always a crowd pleaser! International act, The Pierce Brothers surprised ‘Fenners’ on the Corona River Stage on Saturday. The crowd lapped up their folky magic under the tent, along the river banks and floating down the stream on lilos & tubes. Needless to say, The Pierce Brother’s main act on Sunday night was off-the-hook! The duo really are something special and we look forward to more performances from them in SA in the future! Please. Thank you! Bowling for Soup – Where do we start? When they came onto the stage, the emotions kicked in. Reminiscence of the good ‘ol days where music was pre-dominantly punk rock. They joked on stage in between performances, and belted out their hits they were most famous for, “Girl All The Bad Guys Want” and “1985.” They even sang a cover of “Stacy’s Mom” which wasn’t even their own song – much to the crowd’s delight! On the side lines, the Splashy site was filled with weird and wacky characters as fans dressed up in all different sorts of gear, ready for the official Splashion Show. Courtesy of Eden Island Bat Man and his side kick Wonder Woman won a trip to the Seychelles! Trail runs were on the go daily as well as yoga sessions down by the river – neither of which we managed to enjoy as we preferred a good ‘ol sleep-in! And let’s not forget the market selling all sorts of ‘bits and bobs’ to improve your Splashy experience. Forgot to bring gumboots or looking for some funky socks – just pop into the market and voila, you are kitted out! Drumming and belly dancing workshops provided entertainment between sets, children created hanging artworks to take home and the food court was a hub of activity from as early as 7am with coffee stations super full. Like me, you may be a little hesitant to attend Splashy (for whatever reason) BUT I must tell you, I was WOWED by Splashy 2018! Yes, we had to use the dreaded porter loos – but this is no surprise to anyone attending. Let’s not go into too much detail on this topic other than I commend the cleaners for doing the best job they could and I hope that 2019 sees further improvements in this area. The decor and attention to detail across the board made the festival so much more enjoyable than ANY Splashy I have attended in the past! My favourite this year has to be the Corona River stage. I must admit the overall improvements to the festival since my attending back in the mid 2000’s (am I giving away my age here?) are notable. This is because the festival is now under new management, so well done guys on transforming the festival as you have! The only thing that would have made my Splashy Fen 2018 better was seeing YOU there… you know who you are! So… start saving, put in your leave! Prep your tents, gather your mates and find a sitter for the kids… or if you are avid campers, bring the gremlins along! Let’s get amped for Splashy Fen 2019! “What! 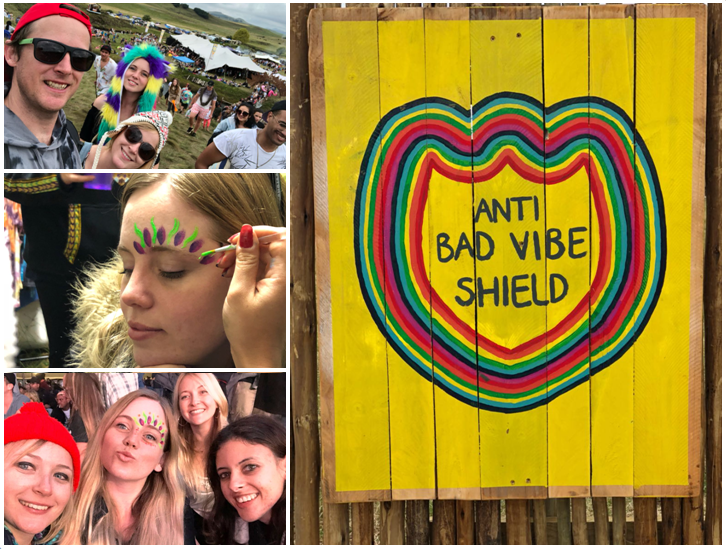 You haven’t been to Splashy Fen! ?” – I heard this all the time when people asked why I had never been to one of the biggest festivals in South Africa. Truth be told, I was scared to camp and I just really didn’t know what to expect. This year, I decided to attend Splashy, and boy am I glad I did! Despite camping in the bush and not having the luxury benefit of your own toilet/shower, there’s just something about getting away from it all. We drove up in the early hours of Friday which gave us that whole day to enjoy, before driving back on Sunday. I’d rate that 2 nights is perfect, especially for a non-camper like me! I really enjoyed the live entertainment, drumming experience, the market, food – it was just a crazy, incredible experience, and I loved having my friends & family with me. I know one of the biggest put off’s about Splashy is the price of the tickets, but honestly, it’s SO worth it. You get entertainment all day long, and if you think about it, you’re supporting all of the artists who perform. Myself getting my face painted, and photos with my friends / family. So, I challenge you to try out Splashy next year. Bring your friends and family – you will have a blast! I’m already just too excited to attend next year’s! 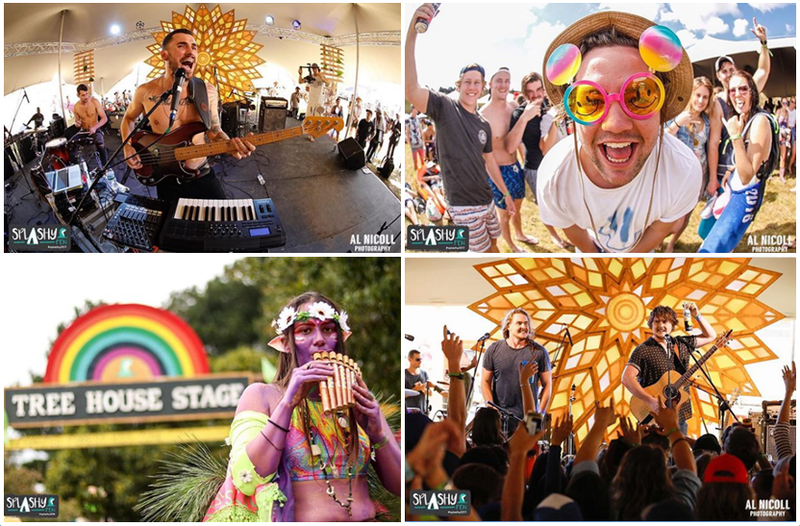 And that’s what Splashy Fen Festival is all about, folks! 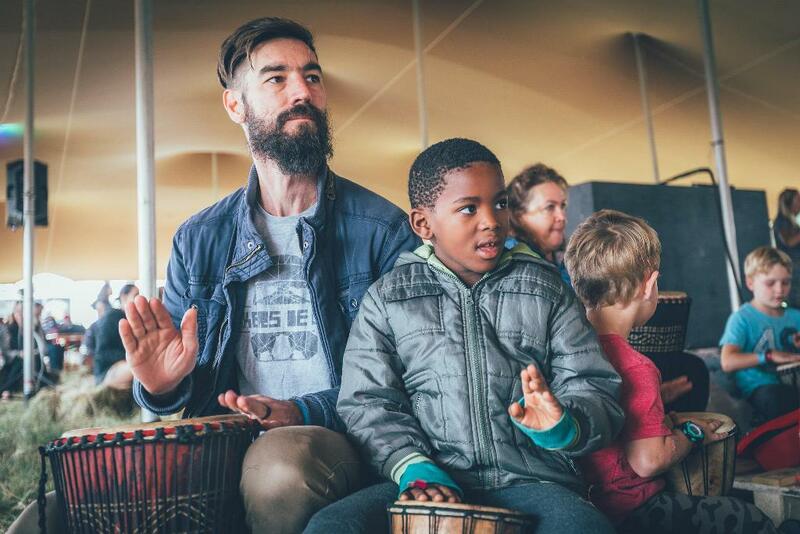 It’s a happy, friendly festival where people come as they are to enjoy some of the best South African music! It’s set in an idyllic location of Underberg, surrounded by beautiful mountains. Filled with old friends and new, lots of dancing and singing along – plus karaoke if you dare! THIS is what makes us want to keep coming back!